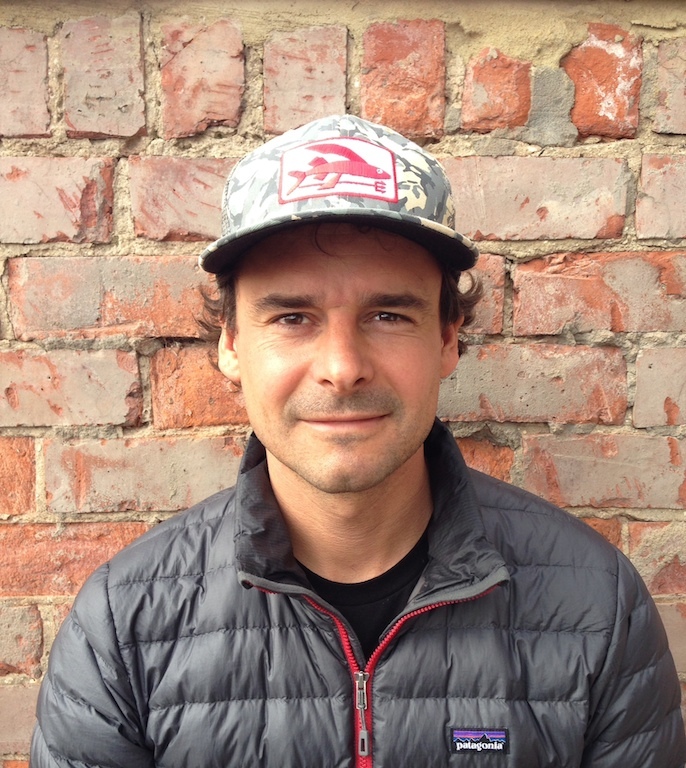 Patagonia have just launched the world’s first line of wetsuits made completely from natural rubber and SOURCE has spoken with their European Surf Manager, ex pro and industry vet, Gabe Davies to talk Yulex and much more. Interview by SOURCE Editor, Harry Mitchell Thompson. Gabe, let’s start off with a bit of background on you. So I started surfing age 11 in the North Sea and by age 16 I was sponsored and had tagged a few national titles. At 18 I ran away to Hawaii with my first pro paycheque and kept travelling from that point onwards. I competed, but I always had my eye on the solid swells and potential of the reefs around Ireland and Scotland. It was here where we first pioneered tow surfing. I was lucky to be surfing during that moment in time, when the very first tow missions out to Mullaghmore were happening – those were incredible times. And what connected you with Patagonia? I always had an environmental connection after first seeing Surfers Against Sewage campaigns come to our largely unknown dirty beaches with a huge brown ‘Inflatable Turd’ and demonstrating to improve conditions. At the time, Chris Hines who ran the campaigns, literally stuck his head under a UV treated sewer outflow pipe to prove it was the way forward. They were radical times, but it made me realize that protecting what we love was more important than anything else. Patagonia’s direction was totally at odds with almost every other aspect of the surf industry, with a focus on product, innovation and doing the best it can for the environment. Other companies I had been working for chased growth above all else, obviously that helped pro surfing, but the environmental side was rarely on their agenda. I think by and large, that is largely true to this day. What was your mission statement when starting out with Patagonia? I wanted to make Patagonia’s surf category relevant to the core surf community. I knew from surfing with the Malloys that Patagonia was a legitimate surf company and within Europe we just needed to amplify that message. It always felt like we were an outdoor brand trying to do surf. Once you know the real people and see the investment in some of the most groundbreaking product within the surf world, you cannot help but be blown away. The PSI Vest, for example, has literally saved lives and not one product has been sold. The Neoprene Free wetsuit and Yulex suits have been eight years in development. That means doing all the leg work and going against the tide yet again. Doing the right thing is never easy, but Yvon (Chouinard, Patagonia Founder) has instilled that as the most important part of doing business. 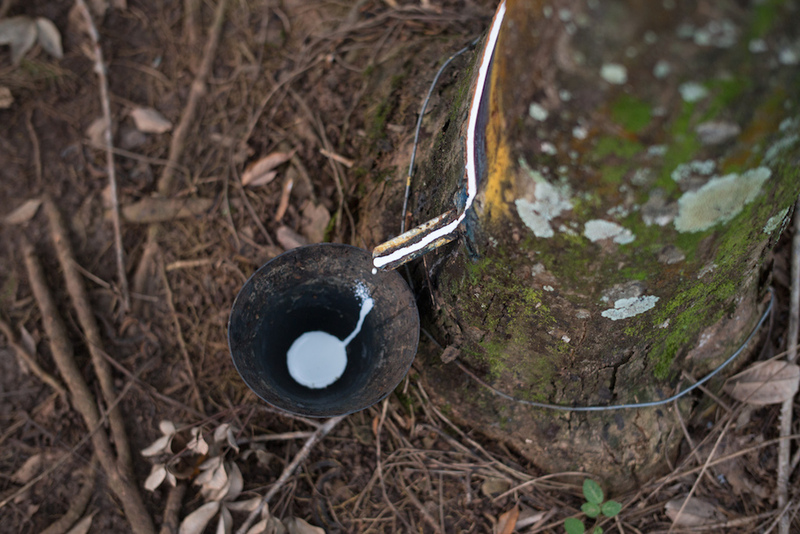 Hevea trees – Patagonia’s rubber source, made in partnership with Yulex and Forest Stewardship Council (FSC) certified by the Rainforest Alliance. How have your goals changed since starting with the company? They remain the same, but now we have a reinforced and passionate European team that is focusing our resources where it counts most. We are in an exciting time, growing and heading in the right direction. Maybe we could still shout a bit louder about some of the things we do, but we always try to keep bringing the message back to our mission statement. It’s about building the best product in the best way possible, inspiring positive change within the industry and giving a voice to the NGO’s, who do the serious work of trying to save the environment we all love. What have been the biggest cornerstones in wetsuit manufacturing since your time working in the industry? The reliance on petrochemical and limestone based neoprene is the biggest foundational problem we have in wetsuits. Every wetsuit is built from an unsound environmental standpoint and ends up being a product that is near impossible to recycle. So the best we can do is source better raw materials that can be used to replace these products, without altering performance or durability. You do not want to have to go buy a wetsuit every season, so you want a suit to last, stay warm and be comfortable for any performance use. We are working with partners on end of life plans for Yulex and neoprene, which is also very exciting. How and when was the Patagonia team first made aware of Yulex and its potential? In 2008 Yulex saw a post we did on our company blog “The Cleanest Line” , which sates there is no such thing as green neoprene. Then a lightbulb went off and they were like “we might have something!” They came to us with a little piece of foam the size of a scrabble chip and that’s where the dream began. 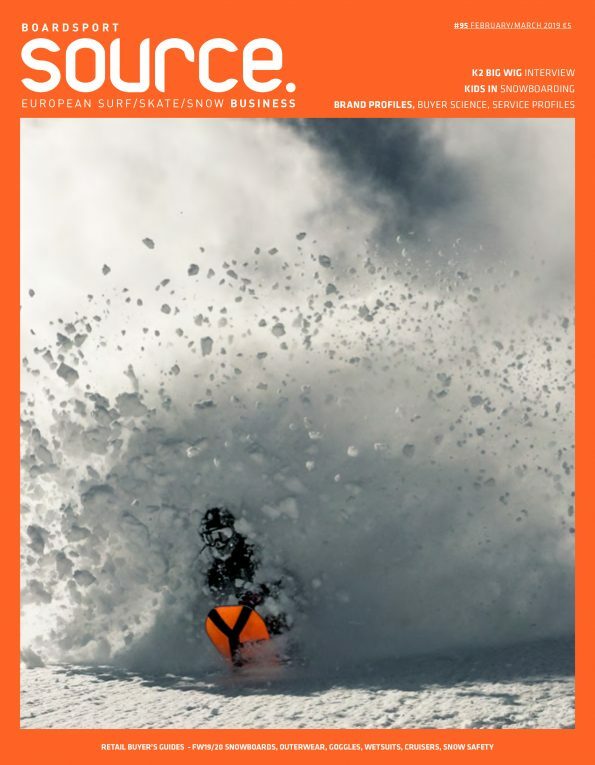 We are now in a position where we are in our fourth generation Yulex suit, have gone neoprene free and have reduced our CO2 footprint on production by -80%. Patagonia are now going neoprene free – this is a fantastic achievement. Please tell us more and also talk about what’s next? 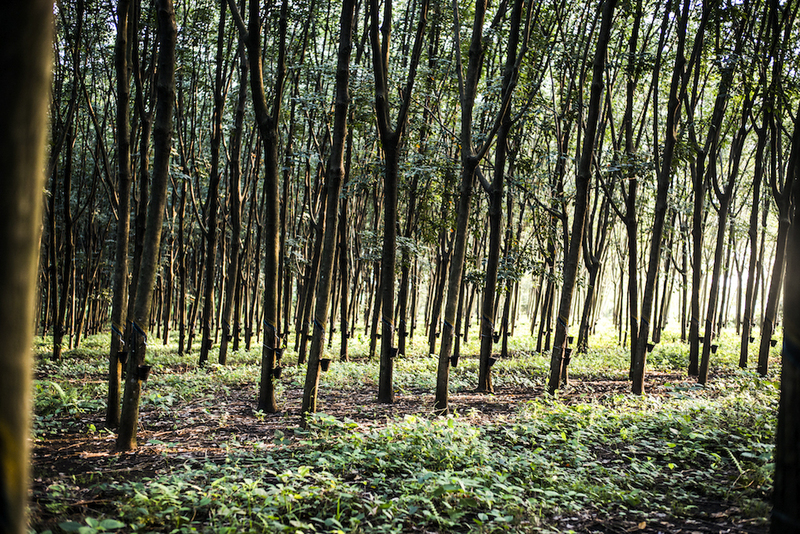 We use Hevea rubber that is FSC certified, as our source rubber and this is one of the key points of difference. Only 0.5% of naturel rubber in the world is FSC certified and that is a really important part of the industry once you dig deeper into it. Other parts of the rubber industry clearcut forests and cause degradation to the environment. We are looking at replacing some of the other ingredients, as our wetsuits are not environmentally perfect. We still need various compounds to make the suit function including 15% synthetic rubber and carbon black, which helps give density and UV resistance. Other areas we are looking to improve could be waterless dyes and water-based adhesives. Other than that we are going to increase our offering of styles as we move forwards. Right now we have 20 full suit styles and next spring we will be adding neoprene-free spring suits into our line. What’s new in stretch properties for Patagonia? We have recycled content and hydrophobic linings on our suits, which means they don’t absorb water, dry quickly and keep the suit lighter than our previous styles. It’s amazing when you give someone a normal suit and a Yulex suit, they can’t tell the difference in performance. Let’s talk about design – please could you explain a bit about the R&D facilities at Patagonia and also the team responsible for design? So in Ventura we have ‘The Forge’, where the development team works on all our materials innovations and prototypes. We also have another onsite facility where Hub Hubbard and the wetsuit team can literally make a suit from scratch and once the glue has dried, the team can jump into C-street, which is two minutes away from the campus, for a surf. We also rely on our surf and kitesurf ambassadors, who are out on the road year-round with proto’s and their feedback is unrelenting and brutally honest. In what ways is Yulex different to manipulate when compared to neoprene? It takes ~0.5 kilo of naturel latex rubber to make a suit. The Hevea trees can produce rubber for around 30 years and sequester carbon and new trees can also be grown from existing tree off-cuts. The FSC certification protects both the workers, and the forest to the highest standard. Once the latex rubber has been processed and purified by the Yulex Corporation it is coagulated into a solid. The wetsuit production then literally swaps out the CR (neoprene) chips with our natural rubber. From that point the process is the same. Is your open letter, calling the surf community to embrace Yulex, still in effect? Have you had any successful conversations with other wetsuit brands about this? Yes, we have had some brands come on board with Yulex and we are still happy to talk to all brands. The more Yulex products we can make as an industry, the cheaper the end products will become. Our ‘We Have The Best Weed In Town, And We Are Giving It Away’ advert was literally just that, a call out for industry partners. We’ve seen increased interests in use of natural rubbers, which is fantastic as it proves we are all moving in the right direction, but I’d say the FSC certification of the raw material is one of the key aspects to look for.